With a total of nine medical schools in Florida, most of which give preference to in state applicants, Florida is a great state for medical school hopefuls. One of the most notable osteopathic programs in the country, Lake Erie College of Osteopathic Medicine, has a campus in Bradenton, Florida. Additionally, the University of Florida, University of Miami, and University of South Florida are ranked in the top sixty for research by US News and World Report. According to the 2016 Physician Workforce Annual Report, nearly two thirds of clinicians in Florida are over the age of 50. This means that the state will be in desperate need of tomorrow’s doctors so most of the medical schools hope to train students who will ultimately practice in Florida. Can you see yourself pursuing your medical education in the sunshine state? How Competitive are you for Medical School Admissions in Florida? To determine your competitiveness for a Florida medical school you must review the average MCATs and GPAs for accepted students as well as the medical school acceptance rates. For out of state students, it is important to pay attention to how many out of state students are interviewed and what percentage are in the entering class each year. So, how difficult is it to get accepted into a Florida medical school? Let’s review the data. Below are the average MCAT scores and GPAs, interview rates for in state and out of state applicants, acceptance rates, percent of entering class that is in state, and tuition for all medical schools in Florida. The data below will help you assess your competitiveness for allopathic and osteopathic medical schools in Florida. So, what can you do to increase your chances of getting accepted into a Florida medical school? 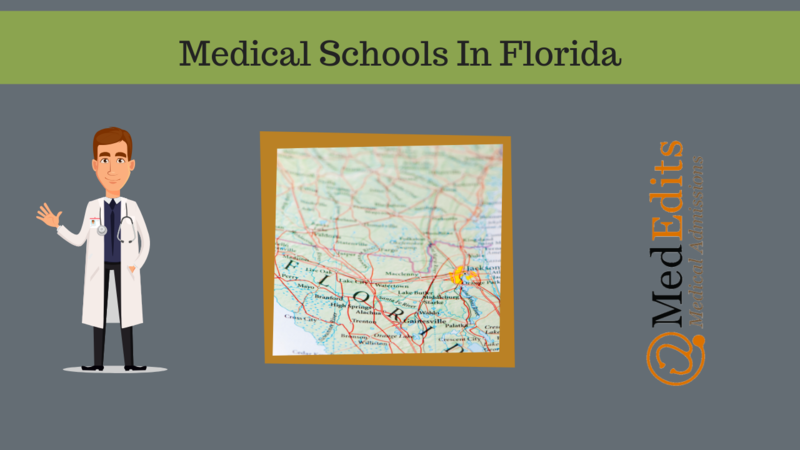 It is important to note that most of the Florida medical schools accept a majority of in-state students. Therefore, Florida is a great state to be from if you hope to be a physician! That being said, if Florida is your dream state for medical school, the University of Miami (Miller) and the University of South Florida both accept a large percentage of out-of-state students. When evaluating how competitive you are, be honest with yourself. Are your MCAT and GPA close to the metrics for accepted students? If not, consider retaking your MCAT or enhancing your GPA. Several Florida medicals schools have MCAT averages above the 90%, so consider this when generating a list of schools you want to apply to. Whether you opt for an MD or DO school, it is important to remember that about 9% of current physicians hold an osteopathic degree according to Health Affairs. Both degrees offer you the opportunity to practice medicine, advance your field, and care for patients, and Florida boasts fantastic MD and DO options.